COPENHAGEN (Reuters) – Finnish mobile phone maker Nokia is set to launch cheaper handset models in an attempt to fend off growing competition from Chinese rivals in the low-end market, company sources said on Friday.The new models, due to be unveiled at the Mobile World Congress industry convention in Barcelona next week, show Nokia is expanding its focus after concentrating in the past two years on catching up with Apple and Samsung in more expensive smartphones. The sources said Nokia would introduce cut-price basic phones aimed at competing with the likes of Huawei and ZTE, as well as a new, lower-price model of its Lumia smartphones running on Windows Phone 8 software. Details such as exact pricing were not available, and a company spokesman declined to comment. Nokia, once the undisputed leader in the mobile phone industry, has struggled with growing competition in both smartphones and lower-end handsets. Its Lumia smartphone range was widely been seen as a make-or-break product line for Nokia due to its high margins. 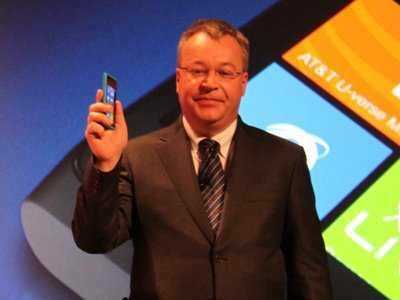 Its success is seen determining whether Chief Executive Stephen Elop made the right decision two years ago in switching to Microsoft Windows software from its own Symbian system. Most Lumia phones cost over $200, and the top-of-the-range Lumia 920 can cost over $600 without a carrier contract in the United States and some European markets. By contrast, the average selling price of Nokia’s mobile phones was 31 euros in 2012, down from 35 euros a year earlier. But analysts estimate Nokia’s market share in the smartphone business is still only around 5 per cent, and that it needs to protect its position in basic phones if it wants to survive. Nokia’s net sales of mobile phones fell 21 per cent in 2012 to 9.44 billion euros, while sales of higher-end “smart devices” slumped 50 per cent to 5.45 billion. The company sold 4.4 million Lumia devices in the fourth quarter, including the Lumia 820 and 920 which were launched in November. Many analysts say it needs to sell more than double that amount per quarter to convince investors that its smartphone strategy is working.